Home Page › Allgemein › the “Sprinter” with longer leg is out now! the “Sprinter” with longer leg is out now! A fantastically brilliant and deep blue with light blue edging. 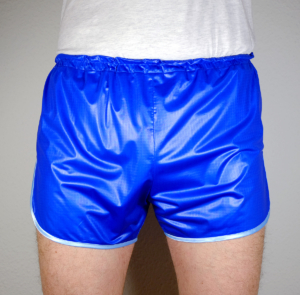 The fabric is very soft, flowing and anstistatic. Furthermore it is slightly crosswise elastic. The ripstop optics appears discreetly. The second design is made of olive-coloured polyamide nylon with shimmering surface. Outlined in classic black. The durable fabric rustles slightly and is antistatic. 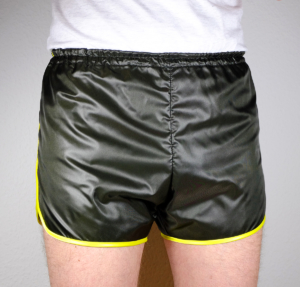 The third and final pair of shorts is an olive-black-coloured, soft-flowing, medium thick and anti-static nylon fabric with a beautiful sheen. The yellow trim freshens up this garment.